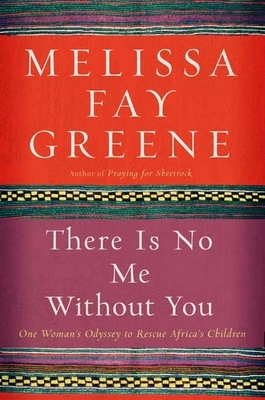 "There Is No Me Without You" is the story of Haregewoin Tefarra, a middle-aged Ethiopian woman of modest means whose home has become a refuge for hundreds of children orphaned by AIDS. It is a story as much about the power of the bond between children and parents as about the epidemic that every year leaves millions of children, mostly healthy themselves, without family. Originally a middle-class woman with a happy family life, Haregewoin fell into a deep depression after the death of her recently married daughter. But then a priest brought her two children, AIDS orphans, with nowhere to go. Unexpectedly, the children thrived, and Haregewoin found herself drawn back into daily life. As word got out, an endless stream of children began to arrive at her door, delivered by dying parents and other relatives who begged for her help, and, pushing against the limits of her home and bank account, she took more and more in. Today, Haregewoin runs a school, a daycare system, and a shelter for sick mothers. Without medication for her charges some HIV-positive, some uninfected, and some infants trying to fight off the virus, but almost all of whom come to her terrified and malnourished she forges on, caring for as many as she can handle. Increasingly, she also places them for adoption with families like that of journalist Melissa Fay Greene, who has two children adopted from Ethiopia. In Haregewoin Tefarra's story, Greene gives us an astonishing portrait of a woman fighting a continent-wide epidemic. Melissa Fay Greene, award-winning author of "Praying for Sheetrock," " The Temple Bombing," and "Last Man Out," relates a tale that captures the tragedy of an international epidemic and the remarkable people inventing ways to care for its victims. Her Dec. 2002 "New York Times Sunday Magazine" on the plight of the AIDS orphans inspired scores of adoptions and generated tens of thousands of dollars for the underfunded orphanages of Africa. She has seven children, including two adopted from Ethiopia, and lives in Atlanta.